Religious discrimination against employees in California is illegal – Title VII of the 1964 Civil Rights Act protects employees of all religions and none from discrimination in the workplace. Unfortunately, despite California having a multi-cultural and widely tolerant population, discrimination against people of religion at work still occurs to this day. If you have been discriminated against by your employer or during a job application process, you can talk to one of our experienced Anaheim religious discrimination lawyers at 818-610-8800 and let us help you receive the compensation you deserve. How Are People Discriminated Against at Work? This is not an exhaustive list by any means, but just some examples of how badly people with religious beliefs can be discriminated against at work by their co-workers or supervisors. If you are being discriminated at work because of your religious beliefs, contact your local Anaheim JML Law attorney and we can help you stand up to these bullies. For a free initial consultation call us on 818-610-8800 – and remember anything you tell us will be in the strictest confidence. 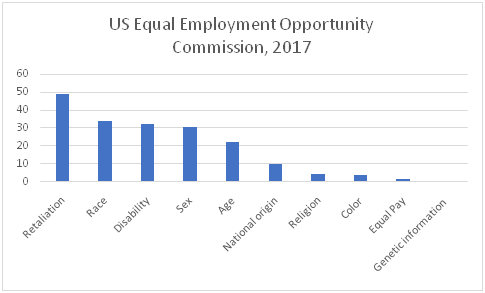 In 2017 alone, the EEOC secured almost $400 million for victims of illegal workplace discrimination. Workplace religious discrimination suits accounted for approximately 5% of all work-based complaints. The FBI’s latest hate crime statistics (2017) revealed that religious hate crimes have increased over recent years, with 55% of hate crimes being committed against Jewish people, and 25% against Muslim people. Schedule Your Free Initial Consultation with An Anaheim Religious Discrimination Lawyer Today! For a confidential discussion about your religious discrimination case with our highly experienced lawyer, schedule your free initial consultation with our legal team by calling today at 818-610-8800. And remember, we only get paid if we win your claim.